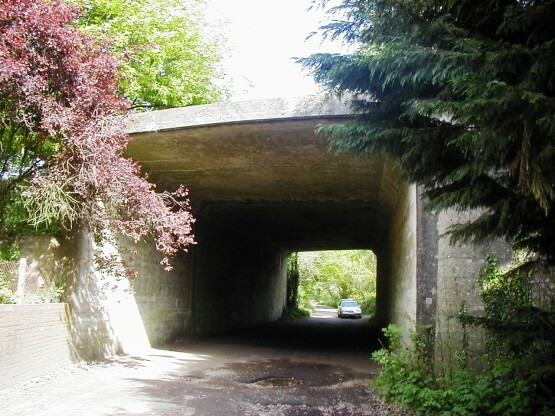 We initially carried out site investigation, testing and laboratory analysis of concrete samples to 3 bridges carrying the A31 over a bridleway and 2 sections of the River Wey at Farnham for Surrey County Council. Following this a Specification and Bill of Quantities was prepared for the Client. The conclusion of the investigation work was that all 3 bridges required concrete repair and protective coatings and strengthening was required to one of them to meet the 40 tonne vehicle loading standards. The following year we were awarded the contract, through the client’s term contractor Ringway Highway Services, to carry out the full proposals that included design & installation of carbon fibre composite plate bonding strengthening. A full birdcage scaffold was used to access the soffits and walls of the bridleway bridge whilst maintaining access below for pedestrians and horses. Concrete repairs were carried out using polymer-modified hand placed repair mortars and flowable concrete supplied by Sika Ltd. Coatings ranging from a clear anticarbonation to a siloxane water repellent impregnation were applied where appropriate. The second bridge had limited headroom and scaffold was not appropriate. Here the work was carried out by operatives wearing waders and using small scaffold storage platforms to keep plant and materials clear of the water. Strengthening to the third bridge was carried out on the soffits using Sika CarboDur plates. Tony Gee & Partners carried out design on our behalf working to the Client’s brief. The concrete soffit was prepared by light scabbling and over 300m CarboDur S1012 plates were cut to length by guillotine. Epoxy resin was applied to both the prepared concrete surfaces and to the plates by drawing them through a gauge box. The plates were then offered up by hand to the soffit and finished by a light roller extruding excess resin. This method of strengthening permitted traffic to continue to use the dual carriageway above giving minimal disruption to the traffic.